Winter weather wreaks havoc on hair, and many of our clients are coming to us with frizzy hair problems in Bristol this month. Having well-conditioned hair is a tricky task when cold, wet and windy weather conditions are at work. As a new anti-humidity moisturising curl memoriser, Copious Curl Lotion enhances curls, moisturises, smoothens hair cuticles, leaves hair soft, creates moveable hold whilst also providing anti-frizz and anti-humidity protection. It’s perfect to prevent frizzy hair problems in January and February, and our team of central Bristol hairstylists have been using it this week with clients. To apply, simply put amount in hands depending on hair length and texture, and apply to towel-dried hair. Comb through for even distribution and blow dry or leave to dry naturally. It’s a simple and straightforward hair product to use. Active ingredients include quinoa, olive oil, herbal extracts, xylitol, bran oil, soy and wheat proteins, as well as coconut alkanes. As with all of our British Hair products in-stock, this new anti-frizz product also provides multiple benefits for hair, and only costs £9.95 while stocks last. 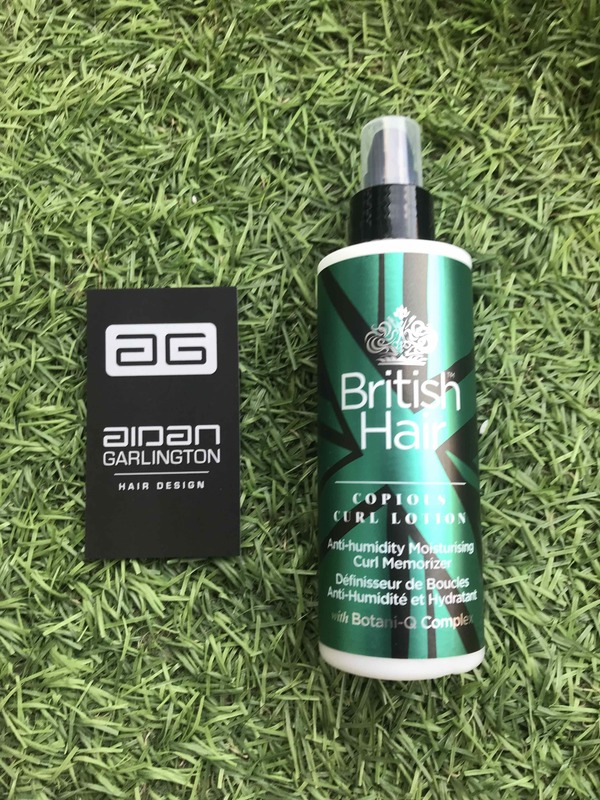 To find out more about new British Hair Copious Curl Lotion, please visit here. To see our full range of British Hair products, hair colouring, hair conditioning products, Olaplex hair treatments, Christmas party hairstyle ideas, red hair colouring products, Moroccan Oil gift sets and products, Autumn hairstyle choices, salon shampoos, Source Essentielle hair products, nourishing shampoos, barbering services, hairdressing services, British Hair products, blonde toning shampoos, Undercut hairstyles, British Hair products, hair moisturising treatments, hair care, highlighting, hairdressing, British Hair products, hairstyling equipment, hair straighteners, hair curlers, curling wands, hair treatments, hairstyling services, hair toning, hair colouring, haircuts, creative cutting, hair styling equipment, haircuts, and hair extensions we offer, please get in touch here.